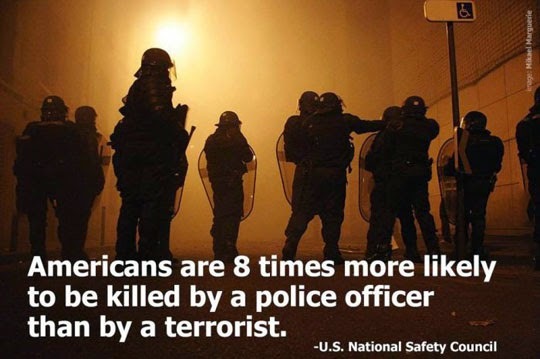 "Criminals are 8 times more likely to be killed by police than by terrorists"? Or 942 times more likely? Or how about we teach our children to respect the police, not resist arrest (work it out safely later) not try to take an officer's gun, not try to harm or kill an officer? My father taught us that, and he grew up in a neighborhood during the depression where the cops would shake them down on the street for change.